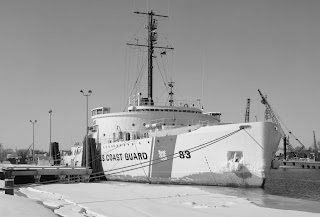 Built specifically for service on the Great Lakes, when Mackinaw was launched, she was the most powerful icebreaker in the world. She went on to a 62 year service career, becoming an icon to the Great Lakes mariners and residents of coastal towns that depended on her to clear a path through the lakes’ thick ice. When she was decommissioned, she became a museum ship in Mackinaw City, Michigan. Our Mackinaw plans page offers six ships plans: outboard profile and inboard profile, upper deck plans, lower deck plans, cross section plans, ships lines plans, and shell expansion plan. The Mackinaw would make a beautiful scratch-built ship model, and at a large scale, an impressive radio-controlled ship model of the "Queen of the Great Lakes.